Bruce Wayne, Tony Stark – they don’t exist. Sorry folks. We do have Elon Musk, however. And, quite frankly, that’ll do. Whether he has his sights set to the stars with SpaceX, disrupting the automotive world with Tesla or providing powerwalls to a broken Puerto Rico, Musk is doing this whole billionaire philanthropist thing quite well. Tesla’s latest venture, the Tesla Semi, is a clean, green answer for an industry that contributes a significant amount to greenhouse gas emissions. According to the International Energy Agency, trucking accounts for 7 percent of the world’s greenhouse gas emissions, burning through 17 million barrels of oil every day. Yeesh. The entirely electric Tesla Semi is a daring attempt to remedy that problem and it boasts some incredible numbers: a 500-mile (806-kilometre) range at max weight, 0-60mph (96km/h) at full weight in 20 seconds and 0-60mph (96km/h) in 5 seconds on its own. The energy consumption here is nothing short of stellar, going through less than 2kWh per mile. 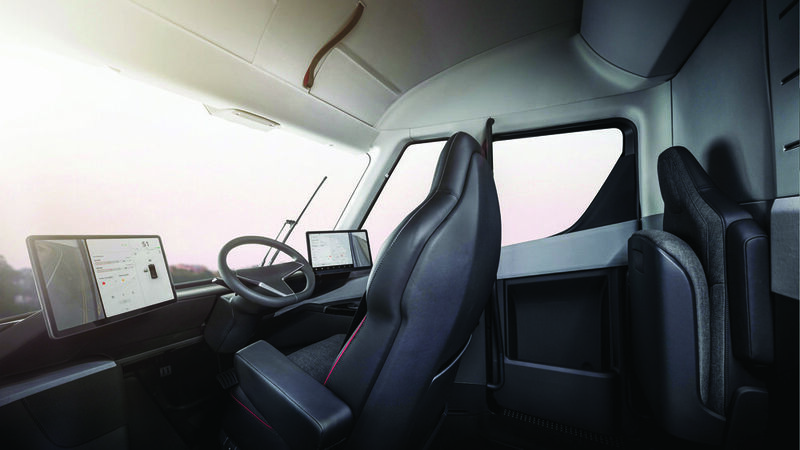 The Tesla Semi’s innovative design also means there’s no chance of the truck ever jackknifing and, if you ever fall asleep behind the wheel, autopilot will kick in (complete with automatic emergency braking, lane-keeping and collision warnings). While the trucking industry’s old guard has its fair share of scepticism as to whether Musk can actually pull it off, it’s refreshing to see optimism and real-world progress in the face of climate change. Not all heroes wear capes. Two models: 480km (300 miles) or 805km (500 miles).